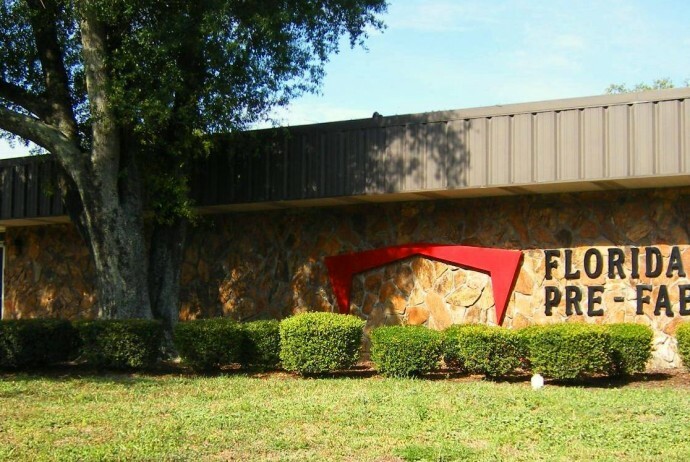 About Us – Florida Pre-Fab, Inc.
Florida Pre-Fab, Inc. is a regional manufacturer of steel buildings serving the Florida and export markets for more than 40 years. We offer a full line of systems for practical applications such as commercial, industrial, agricultural, religious and sports arenas. We also produce specialty buildings for Aviation and Marine uses as well. We aim to provide a quality product to the independent design-build contractor or developer in the metal building industry. Our focus is to create a building system with a blend of steel products that incorporates quality standards fitting to the conditions of Florida. It is our value-oriented approach to design and manufacturing which makes Florida Pre-Fab the right building for our customers. Building additions are perfect examples of how accurate design, detailing and fabrication are essential for the success of a project. At Florida Pre-Fab we work closely with our customers to ensure all the field conditions are taken into account when designing a new project, minimizing costly field fabrication time. 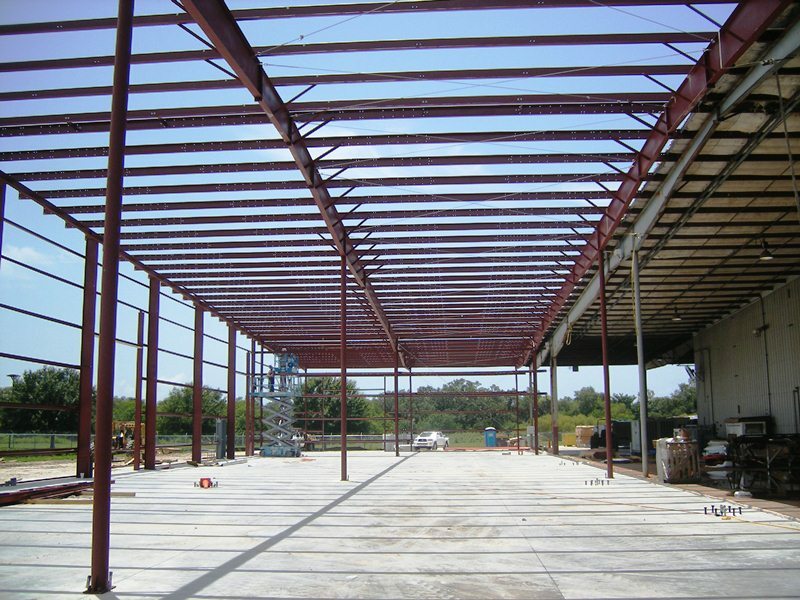 Florida Pre-Fab is a specialized one-stop shop for your steel building needs. We sell, design, engineer and manufacture all of our buildings right at our main location in Tampa, Florida. We have full-time engineering staff dedicated exclusively to creating solutions for our valued customers; our on-site manufacturing plant makes those solutions a reality by producing every part required for each building, using only the best materials available. Regardless of complexity, each building is unique and presents a specific array of challenges which must be dealt with in a timely manner in order to ensure the success of the project. At Florida Pre-Fab we are proud of our experience and our close attention to detail, we work hard at anticipating any possible conflicts that may arise during erection and take the appropriate measures beforehand to protect our customers from costly delays. We submit custom plans for each project which include detailed and complete erection drawings, anchor bolt plan, as well as all other pertinent erection details, all with the aim to simplify the erection process, saving our customers time and money. Our buildings are typically submitted to comply with the latest version of the Florida Building Code unless other codes are requested. Don’t make the costly mistake of working with inexperienced dealers who simply don’t have the knowledge and expertise that today’s construction projects demand; Florida Pre-Fab has been in business for more than 40 years dedicated exclusively to the design and manufacture of metal building systems.